If you are looking for an exciting and powerful sport sedan, you should visit Jaguar Colorado Springs to find out about the 2017 Jaguar XE. This sedan offers a luxurious and efficient option with plenty of power. 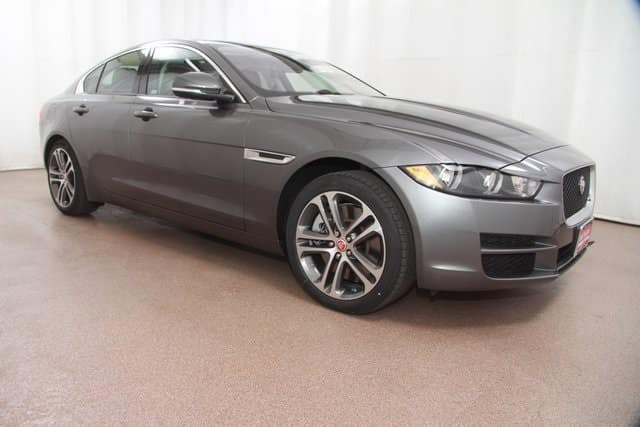 Why settle for another sedan when you can drive this impressive sport sedan from Jaguar?! Right now, you could drive home in this 2017 Jaguar XE Premium with our amazing lease or purchase deal. A great car and a great deal?? At Jaguar Colorado Springs, the answer is Yes! Qualified lessees can lease this beauty for $399 per month for a 36 month lease. Or purchase this Jaguar XE Premium for 1.9% APR for 60 mos. Lease Special Disclosure: Closed-End Lease / Approved Credit / Stk# J74426/ 10,000 miles per year / $4995 due at signing includes $3801 down, $0 security deposit, $795 acquisition fee, and first month’s payment / Dealer handling included / Tax, title, and license extra / Expire 10/31/2017.